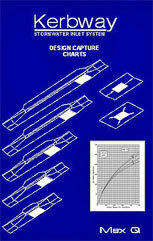 Manuals include inlet capture charts and drawings suitable for specifying inlet construction. 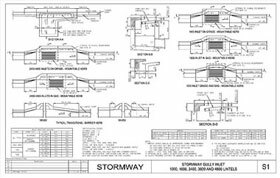 The following manuals can be downloaded as pdf files: Drainway: Stormway; and Kerbway (including Centre of Road and Field Inlets). There are also separate manuals for: Centre of Road Inlets; Field Inlets; and Roadway Flow Charts. All of the inlet drawings in the Design Manuals (pdf) are also available as dwg files. Provided the drawings are used for specification of Max Q inlets they may be used as is, amended to suit the user’s requirements, or for cut and paste into project drawings. 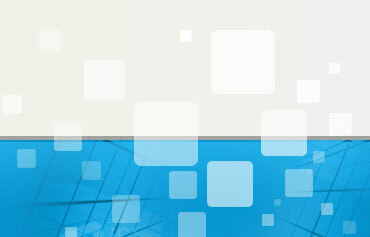 The dwg files may be down loaded, zipped into groups and are suitable for AutoCAD Versions R14 and later. These MS Excel programs look different from any that you may have previously encountered. The capture programs allow input of a roadway flow and output of the inlet capture for all combinations of blockage factor, grate type, lintel length, kerb type, roadway cross fall and longitudinal grade, including capture in sags. 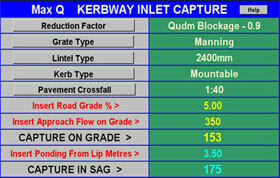 There are separate capture programs for Kerbway, Drainway and Stormway Inlets. A fourth program calculates the Qudm allowable roadway flows covering all of the design parameters.